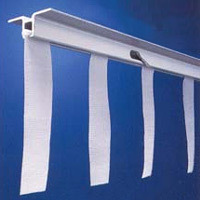 The Cubicle Curtain Track from Brite Inc. is Made in USA with the highest quality and standards in the industry. 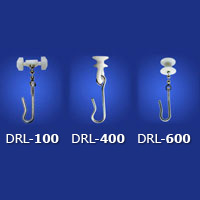 Our DRL-98 can be found in Hospitals, Physical Therapy Areas, Training Rooms, Nursing Homes and quite often in residential use. 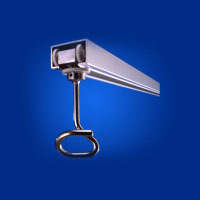 The track is durable and versatile. 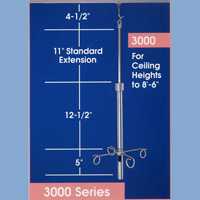 It is perfect for Cubicle Curtains and Privacy Curtains, but we have also had customers purchase the track to hang golf Mesh Nets. 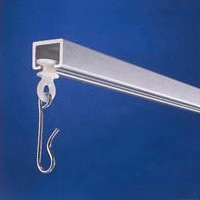 Available in stock size kits or designed to your size specifications, our Duralign tracks will stand the test of time. Our Break-Away Tracks are highly regarded as one of the safest tracks in the industry. 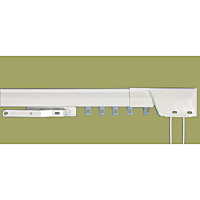 With the options for ceiling or wall mount, the Break-Away Curtains and track are used in not only psychiatric spaces but are also great as RV curtains and boat curtains. 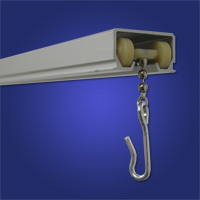 Tie Backs come in nylon white and Flexible Curtain Tracks are available for custom rooms. 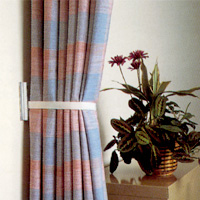 Custom tie backs can be made to match the material of the curtains. Please speak with your customer service representative for details. 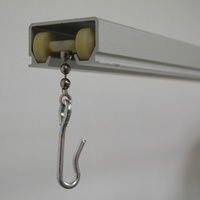 Whether this is your first time purchasing curtain track or you are an "old-hat" at the process, we at Brite Inc are here to assist and help make your purchase go smoothly. Feel free to call any time with questions or to place an order.